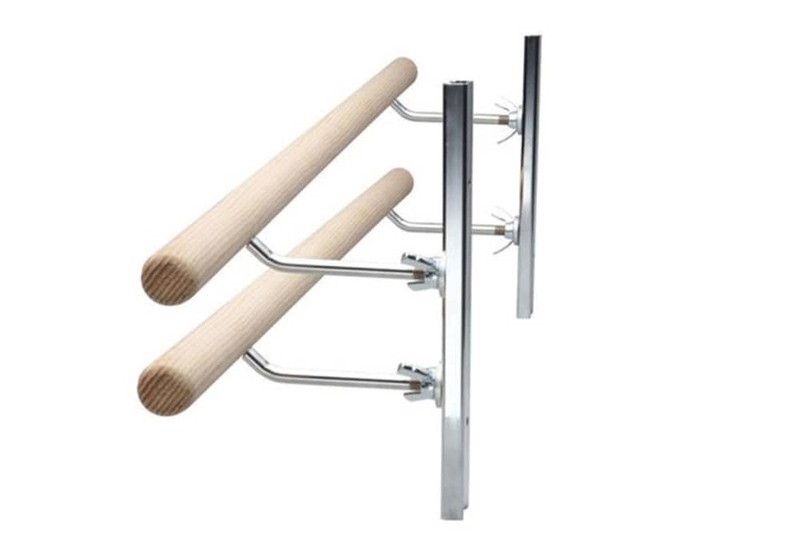 Double row, independently height adjustable ballet bars with wall mounting hardware. 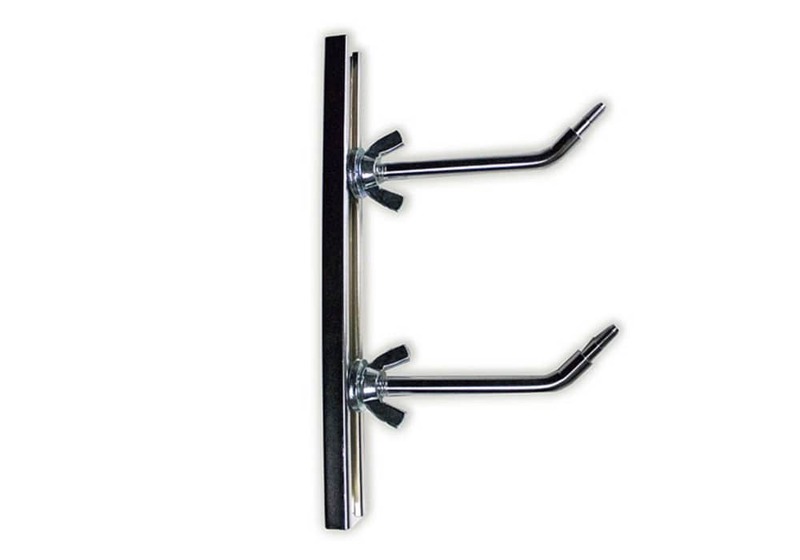 These Wall Mounted Ballet Bars attach to a wall and allow for two independently height adjustable barres. Ideal for studios or as a home ballet bar. 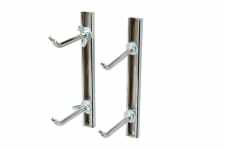 Brackets should be separated on the wall by multiples of 16" to allow the mounting of every bracket directly into a wall stud. 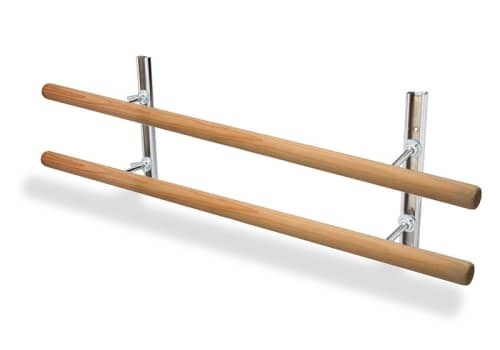 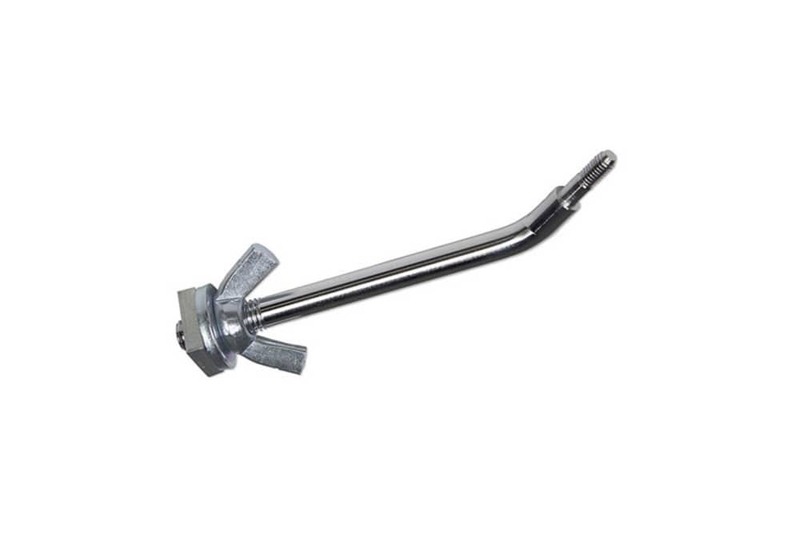 The double adjustable barre comes with one set of wall mounted brackets and two bars with associated mounting hardware. 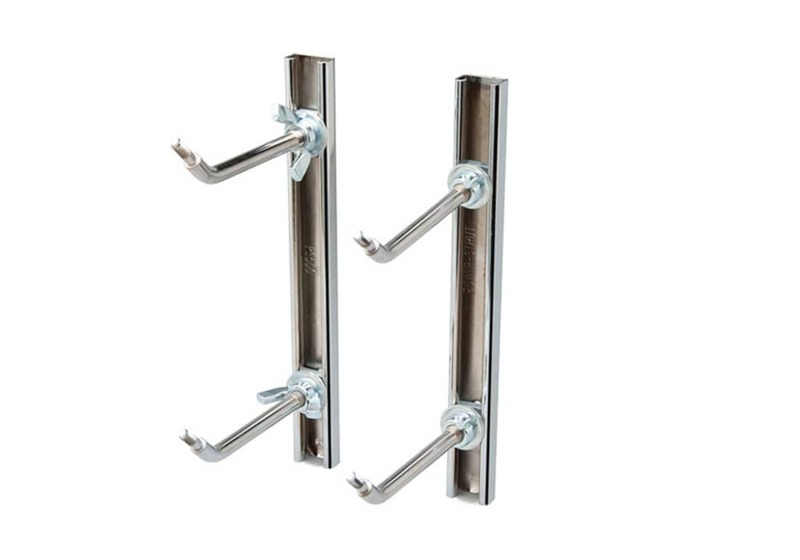 Both bars mount onto the same wall mounted channel. 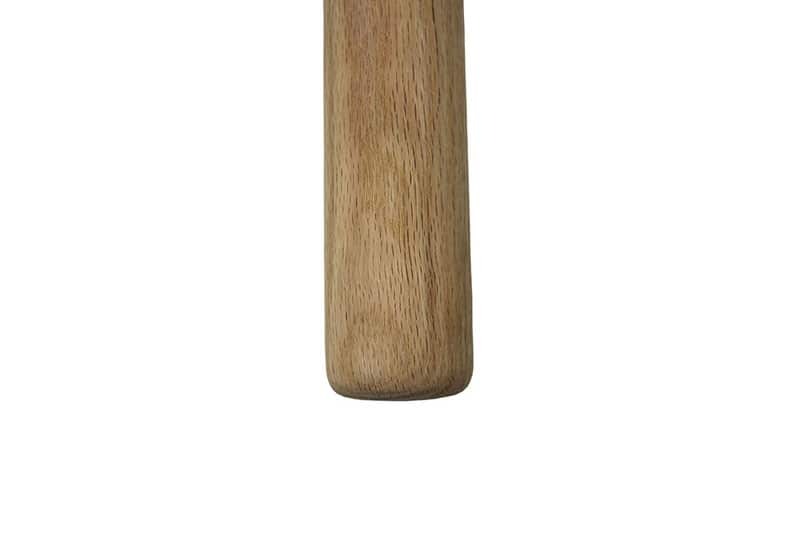 Maximum vertical spacing between the two bars is approx. 13"